Even after a divorce, child custody, child support or parenting time dispute is finalized, there may come a time when you need additional legal support to address enforcement issues or to modify the original order. If you need assistance with enforcement or you feel that a change of circumstances warrants a modification in the original order, it is important to consult with a family law attorney who can protect your rights. At Blumberg & Associates, we have extensive experience in representing clients seeking a modification. We can also represent clients who want to challenge or defend against a modification to an original order. Your rights and interests are at stake. When you need assistance with the enforcement of an order or are seeking to obtain or defend against a modification, we can protect your rights. You may be seeking a modification to an original child custody or child support order. The court is willing to grant a modification when there is a change in circumstances that makes the original order unfeasible or impractical. We are experienced in modifications involving job loss, personal injury or a new job that requires a relocation or change in the parenting time schedule. 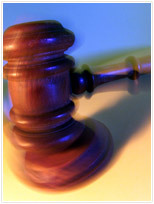 A modification will also be granted if the child’s needs require an increase in child support or a change in schedule. For more information about modifications, please contact us for a consultation. After an original order is finalized, some parties are faced with the additional burden of seeing that the order is enforced. This is especially common with child support orders, but it may also be necessary to enforce a parenting time schedule. Our family law lawyers are committed to protecting our clients’ rights and interests long after an order is finalized. We represent clients in the ongoing issues related to children and support and are there for you as your life changes. Contact us for more information about modifications or support.